Death isn’t most people’s favourite conversation topic. However, addressing your will is imperative. To ignore this duty would heighten the risk of leaving your family in a terrible financial position if you were to pass away. It is not only the money that matters either. You have to think about appointing a guardian for your minor children as well. Don’t you want this to be in your control? 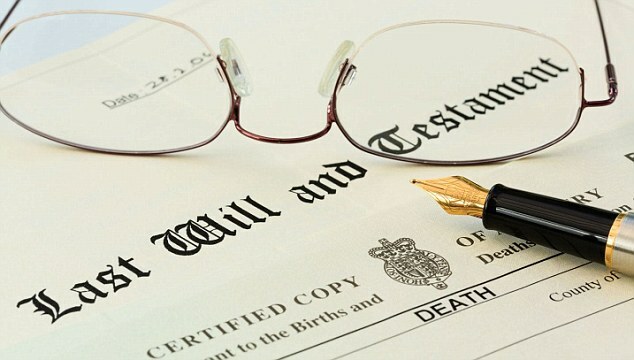 All things considered, to say writing a will is imperative is a monumental understatement. The necessity of this cannot be put into words. Writing a will can be a lot more difficult than imagined. There are so many different aspects you must consider. As mentioned, appointing a guardian for any minor children is imperative. It is always recommended to identify a first and second choice. You should explain why you think the adult in question will provide stable and continuous care. You must also state the relationship between the child and the adult. Another role you will need to identify is the beneficiaries of your will. From properties, to money, to smaller assets; you need to embark on thorough estate planning. Most people tend to leave their assets to their partner and their children. Don’t neglect the ‘what if’ possibilities. What if you and your partner passed away at the same time? What if you are remarried – Do you want your assets to go to your children rather than your new spouse? In addition to the points that have already been mentioned, you will also need to decide on a personal representative to execute your wishes. The word ‘representative’ is imperative here. You have to trust the individual’s judgement. In fact, your judgement will be in question when writing your will as well, in the sense that you must be of sound mind before you begin to write it. Knowing what not to include in your will is just as important as knowing what to include. Some of the things that cannot be incorporated are certain types of property, such as; joint tenancy property and property in a living trust. Many individuals are tempted to leave their funeral instructions in their will. This is ill advised. In most cases the settlement of your estate and alike will not be handled until after your funeral. It is also worth noting that your will may need updated on one occasion or more. A lot of people write their will and then they put it to the back of their mind and never think about it again. However, circumstances can easily change. What if you end up getting divorced? What if the person you identified as a guardian is no longer suitable? What if your finances have changed? Updating your will is imperative. Finally, professional aid is always recommended when it comes to writing a will. If you are looking to compose a Hong Kong will let Taylor Brunswick give you a helping hand. They have a wealth of knowledge, expertise and experience in this area. This ensures you benefit from careful planning and intelligent advice. They will guarantee that everything is handled the right way so that your family and loved ones are protected in the event of your death.